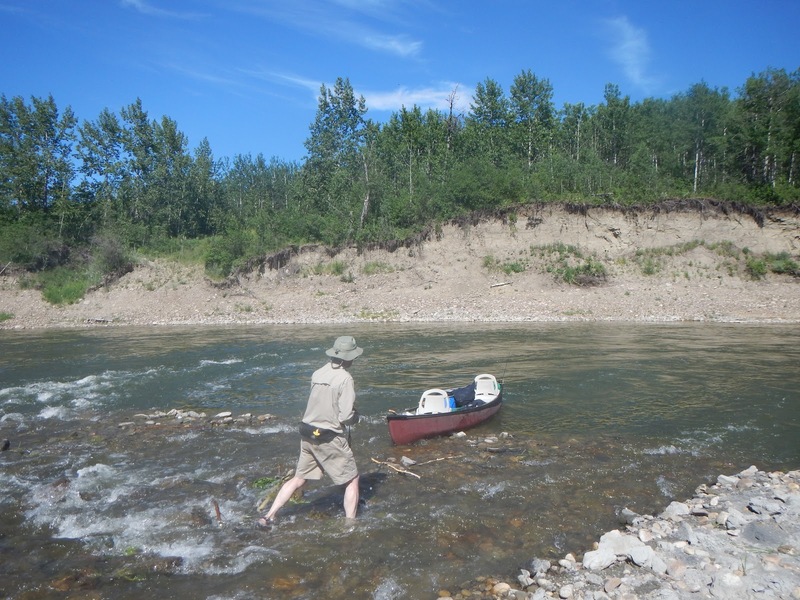 While Alberta is famous for it’s Rocky Mountain vistas, paddling the Milk River is a lesser known but quintessential Albertan activity. 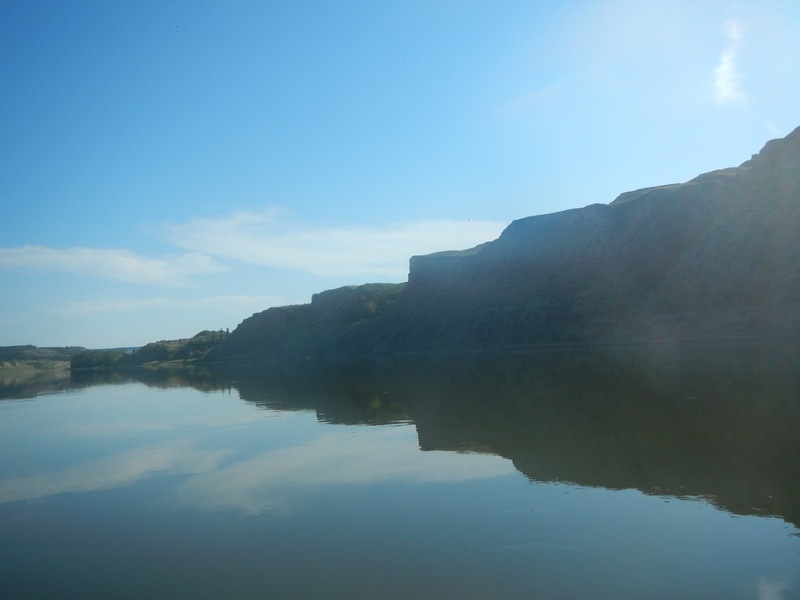 The southern badlands that the Milk River carves through form a unique landscape and a beautiful sight to behold, especially from the water. 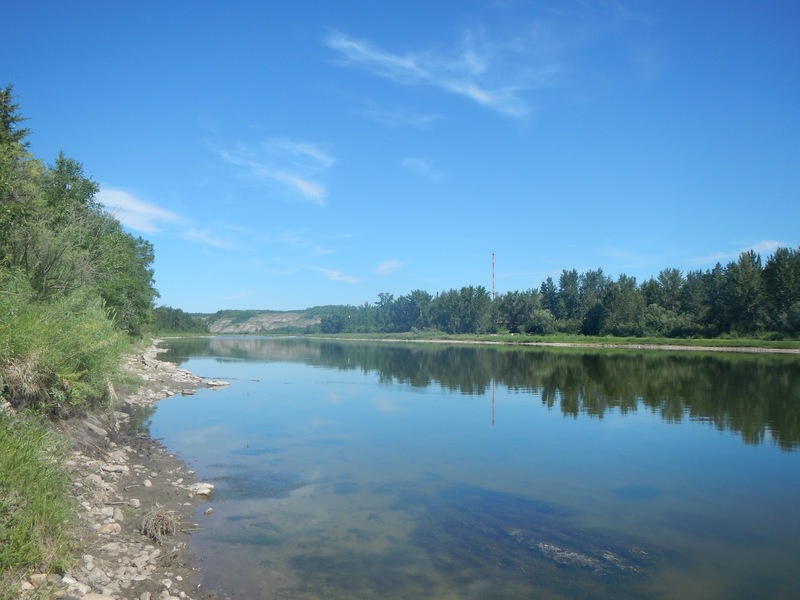 The Milk River was named by Lewis and Clark who thought that the water resembled the colour of a teaspoon of milk dissolved in a cup of tea. The river begins in Montana, flows into southern Alberta along the town of Milk River and Writing-on-Stone Provincial Park, and then carves southward to Montana through the Sweetgrass Hills before eventually joining the Mississippi watershed, making it one of the only rivers in Canada to do so. 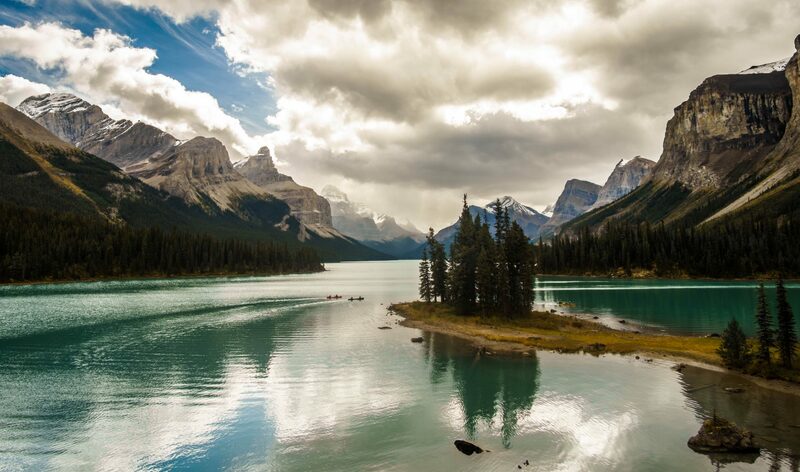 Camping on Maligne Lake is the ideal way to experience Spirit Island, one of the most popular attractions in Jasper National Park which frequently lands on “Most Photographed Places in Canada” lists. Tourists come to Canada from all over the world see this tiny island. Set against a backdrop of turquoise water and surrounded by massive glacier capped mountains, it’s hard to blame them. In my last post, I wrote about music festivals being a classic summer pastime. One that’s a party that will keep you on your feet most of the day and up until the wee hours of the morning. Another much more peaceful must-do summertime experience is canoeing. 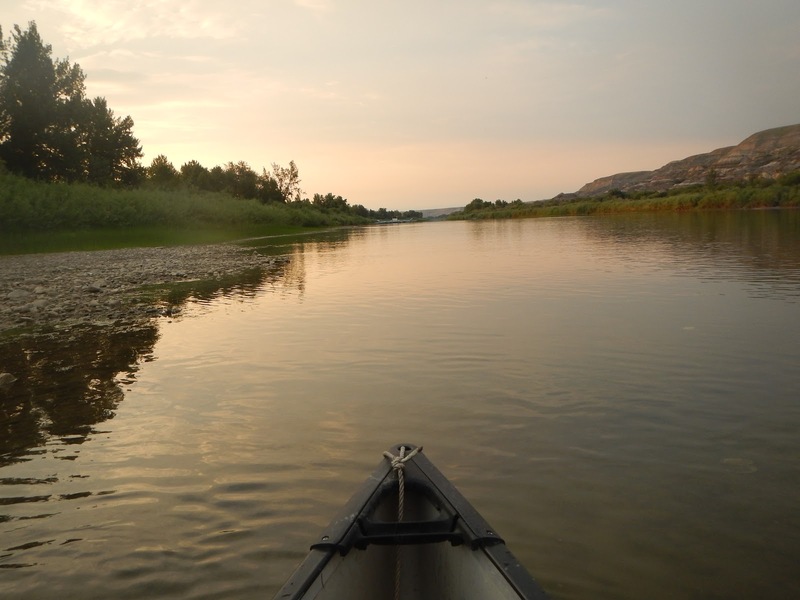 Studies show that being close to water improves your mood and health, and really what better way is there to spend a scorching hot summer day than by paddling down a peaceful river? 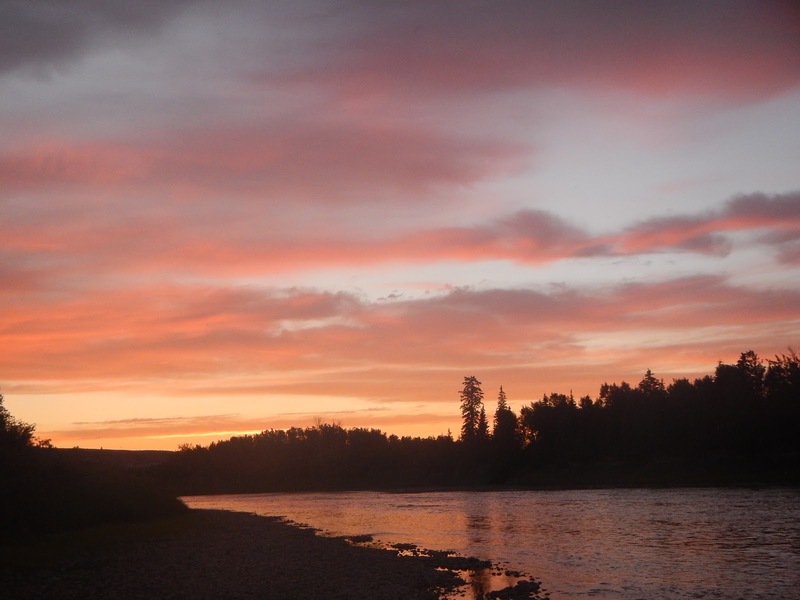 With this in mind, Philip, my father and I embarked on a four day paddling adventure down the Red Deer River. A Nice view for 4 days. The first thing to consider when planning a canoe trip is your level of experience. 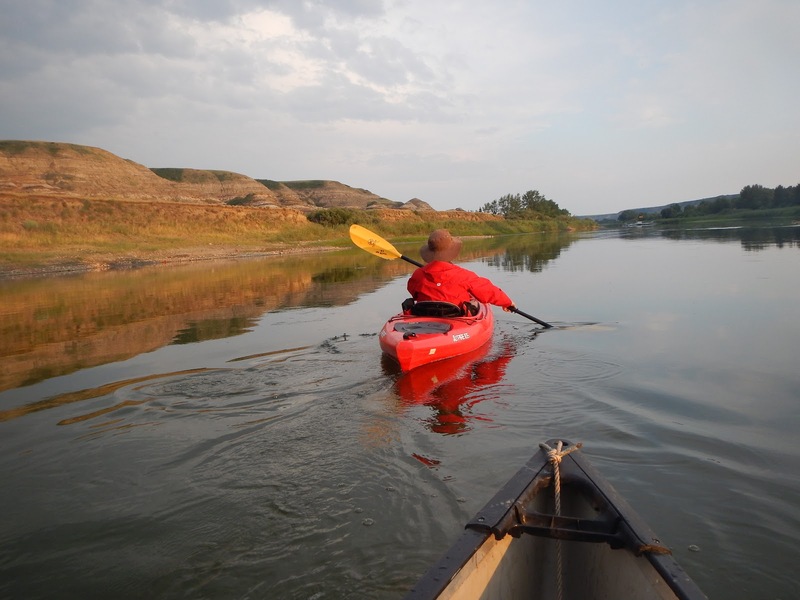 It had been years since either Philip or I had been in a canoe on a river, so the Red Deer River Badlands paddle seemed like an ideal one that’s accessible to a lot of people. To illustrate just how easy it is, after gushing about it to my coworker, he took his wife and two kids on a similar stretch for an extended weekend trip. 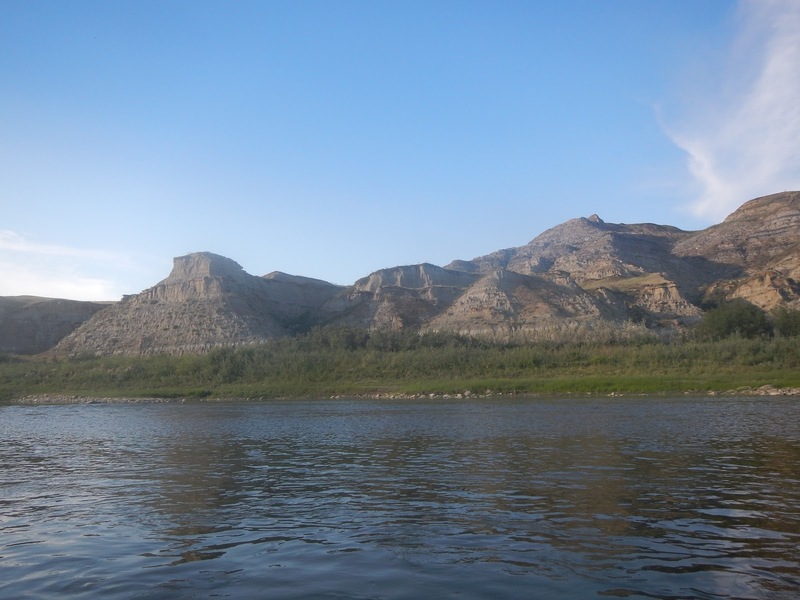 We relied a lot on this Paddle Alberta writeup for trip planning, as well as my dad’s advice since he is a very experienced paddler and has even led trips with dozens of teenagers on the North Saskatchewan River. Following the Paddle Alberta itinerary, we picked up a kayak from Valhalla Pure Outfitters in Red Deer and loaded up my dad’s truck with our gear, his canoe and the rented kayak and headed to the Content Bridge which is East of Red Deer. Dad had arranged for a (very good) friend to drive out to pick up his truck and come pick us up in it on the morning of the fourth day. As we learned, arranging the car shuttle is by far the most annoying part of canoe travel. We loaded the canoe to the hilt and put in around 11am. We paddled a full day through forested hills and scenic canyons. Pelicans flew overhead and fish jumped in front of us as we made our way along in a state of sublime relaxation. The biggest challenge on this stretch is a two sets of rapids about 2/3 of the way to the campground. The first set can be avoided by keeping to the left of the channel and the second set my dad I walked the canoe through. Philip went through both sets in the kayak which weren’t too technical. Dad walks the canoe with all our gear around some rapids. Eventually, near dusk we landed at an island across from the Trenville Park campground. The campground would be a great place for families to stay, but after spending a full day enjoying the tranquility of canoe travel, we preferred to maintain to have the island to ourselves. We set up a rustic camp, started a small fire and Philip cooked a delicious backcountry pizza. To our tremendous pleasure, we saw some fireflies lighting up the dark sky just before retiring. The next morning we set off for the Tolman campground, over 35km away. It was a scorching hot day and it didn’t seem to matter how much we water we drank or how often we dipped our hats in the water, he could not stay cooled down. As the topography changed to Alberta’s unique badlands we jumped out on a small island in Dry Island Provincial Park to have a much needed swim. Alberta’s unique Badlands come into view. Feeling refreshed, we jumped back in the boats and continued paddling. The benefits of our dip quickly wore off and we found ourselves cooking in the sun again. Adding to the challenge, the water was very still during this stretch, so we weren’t moving very quickly. It made for really nice pictures though. Again, near dusk, we found the campground and set up for the night. Sadly, there were no fireflies at this campsite and the tent sites were very far away from the water, so we longed for our island from the night before. Pictured: water looking like glass. From Tolman Campground, we headed for another long day to Bleriot Campground. I was excited to see the last of the Alberta ferries and the rumoured glut of fireflies at the campground. The weather was much cooler on the third day and we were happy when it rained on us, By then we were in a groove and seemed to paddle quickly and efficiently. There is the option of staying at the McKenzie Crossing campground, but again we didn’t really want to camp next to someone’s massive RV and listen to their loud generator after spending a blissful day surrounded by nature and water, hearing only birdsongs and water ripples from paddle strokes . Only birds, water and paddlin’. The Bleriot campground, although farther away, was very nice and more suited to our preferred style of camping. Arriving at dusk, which seemed to be our trademark, we set up camp and cooked all of our food save the oatmeal we had planned to eat in the morning. Upon finishing dinner, I looked at my empty bowl a little forlornly and wished we had more food. Shortly after saying that, two hot dog angels appeared in our campsite and offered us their weiners that they said they would otherwise be throwing out. We gladly accepted their offering and scarfed them down. Although the campground delivered us a tremendous gift in the form of heavily processed meat (anything starts to sound good once you’ve been on the water long enough), it did not deliver on the promise of epic amounts of fireflies. I suspect it was a bit too early in the season for them (end of June). 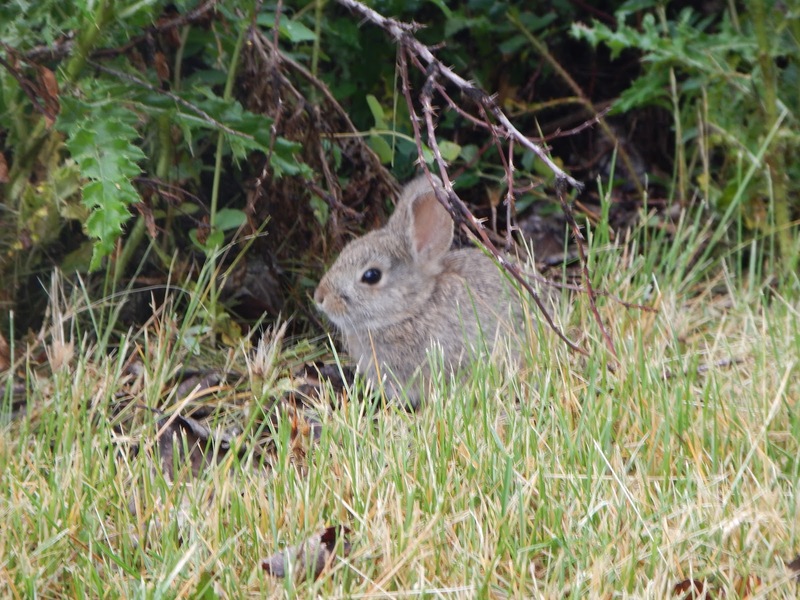 We were however, visited by an adorable baby cottontail rabbit that seemed to have very little fear of people. On the morning of the fourth day, my dad’s friend drove his truck up from Red Deer and after a little convincing, agreed to let us treat him to a juicy 7-napkin burger at the delicious Bernie and the Boys Bistro in Drumheller via the Bleriot Ferry before taking us back to Red Deer. 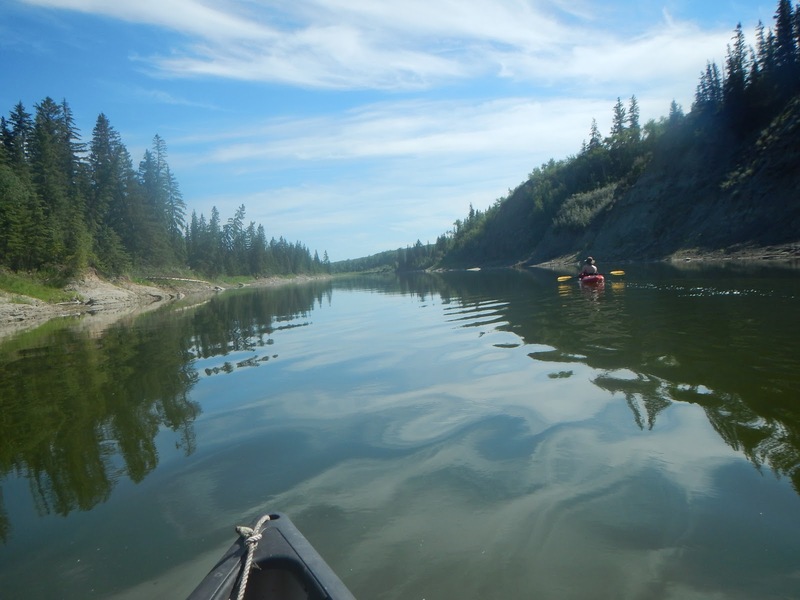 The Red Deer River badlands paddle proved to be a wonderful initiation to the world of canoe-camping for us and we were so excited to canoe more that we took a fantastic and thorough 3 day course with the University of Calgary’s Outdoor Centre. After completing the course, we feel competent enough to canoe even without my awesomely outdoorsy woodsman dad and are hoping to do one of the U of C Outdoor Centre’s canoe expeditions next year. The guided expeditions are great because they provide the boats and most importantly, they take care of the annoying car shuttle logistics. 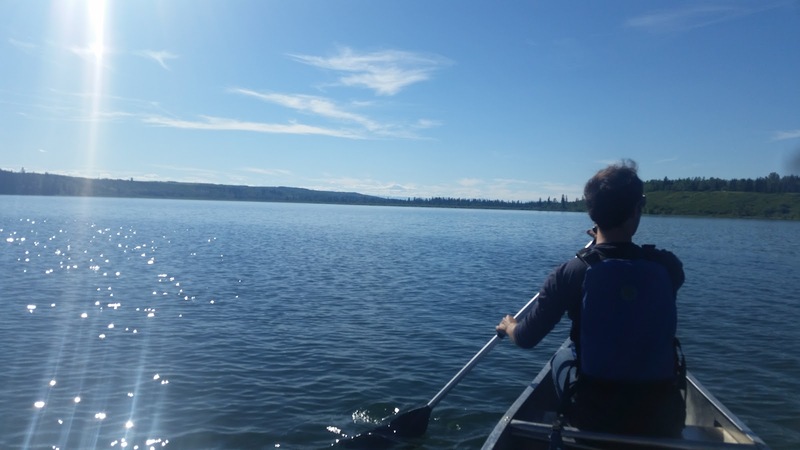 That being said, we have rented canoes at the Glenmore Resevoir for a peaceful evening paddle in the middle of the city and have plans to run the Bow again as well as paddle a few of the beautiful mountain lakes nearby. Not only is paddling a canoe a surefire way to enjoy some summer Zen, it’s also a wonderful low-impact workout with many health benefits and a truly amazing way to see the world. I think it is safe to say that over the coming years, we will be spending many more sun-filled summer days padding in a canoe as long as the rivers flow. After testing my courage the day prior by trying to kayak through white water rapids on the Nile, I decided that I loved kayaking but wasn’t so sure about the paddling through rapids business. I debated between taking a sunset yoga class and renting a river kayak for a peaceful cruise at dusk. Having these options available to me is yet another reason why the Nile River Explorers camp at Bujagali Falls is such an incredible place.